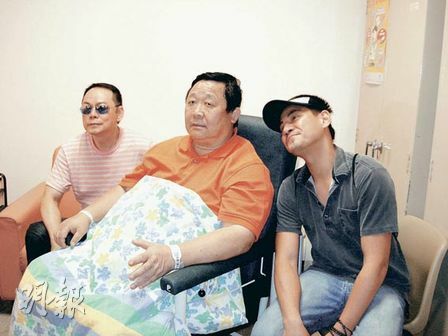 TVB veteran actor Chun Wong, now 60, had a brush with death on his birthday the past Saturday July 12th, 2008 when he fell overboard on a cruise back to Hong Kong from Cheung Chau Island. Chun was reportedly drunk after celebrating his birthday with friends and fell off the deck accidentally. Chun was in critical condition at one point as water had to be drained from his lungs but is now in stable condition at Pamela Youde Nethersole Eastern Hospital in Hong Kong. Chun Wong is a long-time TVB actor and played numerous supporting characters. He’s probably best known for his role in the 1982 Jin Yong adaptation of “Legend of the Condor Heroes” as the impish Zhou Ba Tong. Zhang Ziyi, 29, is reportedly engaged to New York based billionaire Vivi Nevo, 41, and will marry in 2009. The couple was first sighted in the VIP section of a New York Knicks basketball game last year. Zhang Ziyi became an international star after her role in Ang Lee’s “Crouching Tiger, Hidden Dragon” and has since partook in Hollywood movies such as “Rush Hour 2″ and “Memoirs of a Geisha”. Her fiance Nevo is an Israeli low-profile venture capitalist. Congrats to Zhang and Nevo! 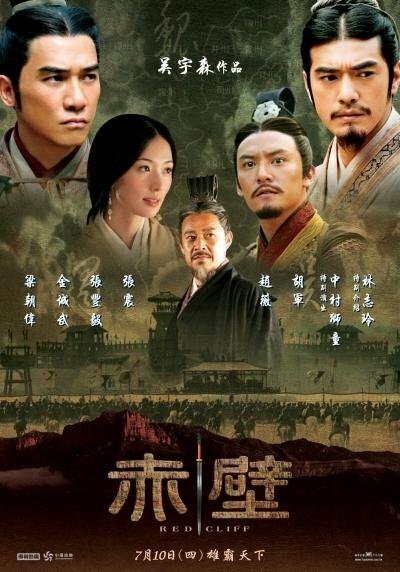 The highly anticipated epic war movie adapted from China’s classical “Romance of the Three Kingdoms” finally opened in Asian theaters on July 10th and did exceedingly well in box offices. John Woo’s “Red Cliff” boasts a star-studded cast, including Tony Leung, Takeshi Kaneshiro, Zhao Wei, Lin Chi-ling, Chang Chen, and Hu Ge. The film is part one of two and is reportedly the most expensive – some US $70 million – Chinese movie ever made. 1) Zhao Wei’s character as Sun Quan’s tomboyish sister Sun Shangxiang doesn’t exist in the novel but she is a playable character in the PlayStation 2 Dynasty Warriors video games. 2) Cao Cao is alluded to fight this war to acquire a woman, naming Xiao Qiao, who is Zhou Yu’s wife (what BS!). In the novel, Zhuge Liang comments that Cao Cao lusted over the Qiao sisters just to provoke Zhou Yu to convince his lord Sun Quan to fight the war but Cao Cao’s ambitions and lust for power (and not women) were no doubt his reasons. 3) Takeshi Kaneshiro’s version of Zhuge Liang does not seem to be the supremely confident adviser but is depicted as having a more youthful and playful side. Hong Kong’s Madam Tussauds wax museum makes its newest addition – Michelle Yeoh in wax garbed in her costume from the upcoming The Mummy: Tomb of the Dragon Emperor. The Mummy sequel stars Brandon Fraser again alongside several Asian stars such as Jet Li, Russell Wong, and Isabella Leong. You are currently browsing the Asian Entertainment News archives for July, 2008.